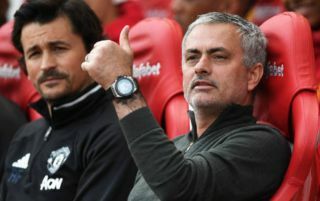 Football fans are adamant that a key Premier League winger will complete a move to Manchester United following a huge hint prior to today’s FA Cup final. Fans believe that Chelsea star Willian will move to Manchester United after being snubbed by Antonio Conte for today’s FA Cup final. Willian was left on the bench by Conte today in Chelsea’s starting eleven to face Manchester United at Wembley this evening, which many fans are interpreting as a huge hint that the Brazilian is off to Old Trafford to rejoin his former boss Jose Mourinho. Reports linking Willian with a move to Man United initially surfaced last summer when the Sun reported that Jose Mourinho was eyeing a move for his former Chelsea player, suggesting that the Brazilian’s price-tag would likely be in the region of £35m. 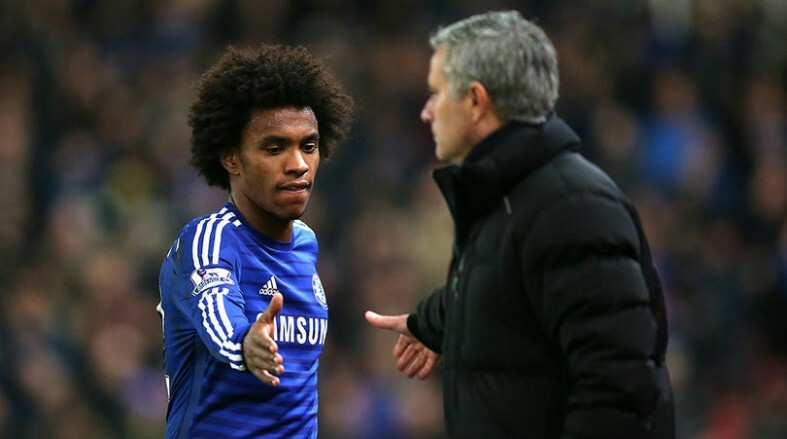 Willian and Jose Mourinho to be reunited at Manchester United? Reports have quickly moved along in the last year with a separate recent report from the Sun stating that United and Chelsea could be eying a swap deal involving Anthony Martial and Willian. Coincidentally, Martial has also been left out of United’s starting eleven today. Jose Mourinho can be seen below tightly embracing Chelsea star Willian ahead of today’s final and combined with Willian being left out of Chelsea’s starting eleven today, many believe he is now likely to follow the footsteps of Nemanja Matic from Chelsea to Man United. Because Willian is going to be a Manchester United’s player next season. Haha haha haha haha haha. Even God Almighty is a Man united fan.